Now is the time to invest in Brisbane real estate. The market will be seeing an upward economic trend in the next 12-18 months and you don’t want to miss out on this booming opportunity. Whether you’re looking to buy a 1 bedroom unit or a 4 bedroom house, there are certain things you need to keep in mind in order to maximise the return on your investment. You are probably what is called a “buy and hold” investor – meaning you want to buy now while the market is low and hold on to the property until you can realise a nice sized profit. The question then turns to: Who is the most important person to help you in your search for the ideal investment property? It’s not your mortgage broker. It’s not your accountant. It’s the local property appraiser! It’s the appraiser who knows how much properties are selling for and where the hottest neighbourhoods are to buy. Land size – How much land are you actually getting for your money? How much of this land is actually useful? Remember to look at the land topology to make sure you’re not paying for land you can’t use. Street frontage – When it comes to street frontage, it’s size and appeal that matter. You’d likely want a large lot, with a lot of street frontage, but also one that has a lot of curb appeal. Whether you’re looking at the property for long-term personal use or as an investment property, you want to make sure the house isn’t the town eyesore. Property size – How many square feet does the house or unit have? Regardless of whether you want a big or small property, you’re going to need to know the price per square foot. Presentation and layout of the property – To many, the ideal layout of a property is sleeping quarters in the front and entertainment areas in the rear of the home. Take a look to see what the layout of the house or unit is and if you think it will appeal to a potential tenant. Bedrooms and kitchen – The two main features of a house that are make-it or break-it are the bedrooms and the kitchen. When you look at an investment property, don’t forget to account for how important these features are. If the property doesn’t already have the features your ideal tenant will want, how much will it cost you to renovate it? Off-street parking – Almost all home buyers are going to expect, or at least hope, for off-street parking. This is especially true for smaller properties, such as a unit. People want to know that they will have a parking spot to come home to after a long day at work. Keep this in mind if you’re looking to rent out your property as it’s a big factor for tenants when looking for a place to live. 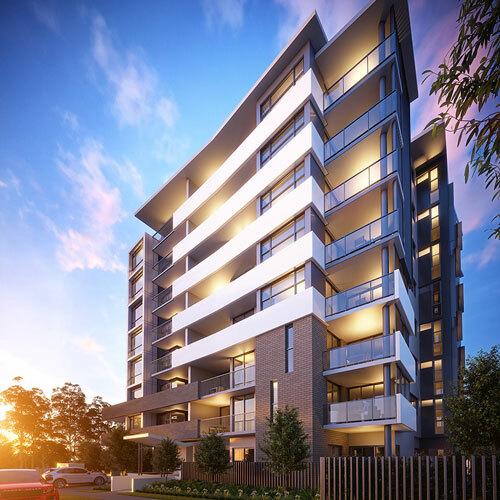 Proximity to lifestyle drivers – For most people looking to invest in Brisbane, the property’s distance from restaurants, shops and cafes will be important. Ideally, you’d also make sure the property is a reasonable driving distance to the city centre where tenants are likely be traveling to work every day. Redevelopment and renovation potential – Even if you’re not looking to invest in a property that needs some work, many buyers like a renovation project. Be sure to keep in mind a property’s potential for redevelopment and renovation. It can make the difference between having several competing offers or none when it’s time to sell. Now that you’ve wisely decided to invest in real estate in Brisbane, it’s important to be smart about which properties you look to buy. Speak to us today at CPS Property – we’d love to help you on your buying journey into the Brisbane property market.